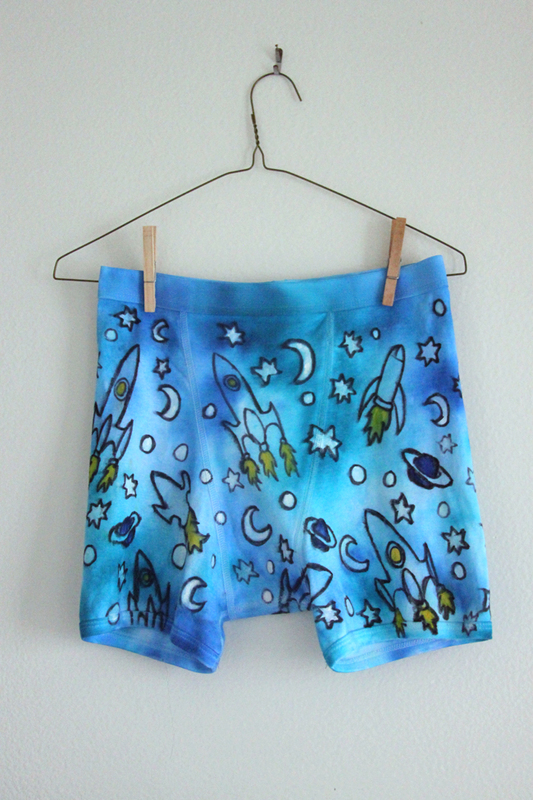 I made these lucky rocketship underpants as a holiday gift for my boyfriend. 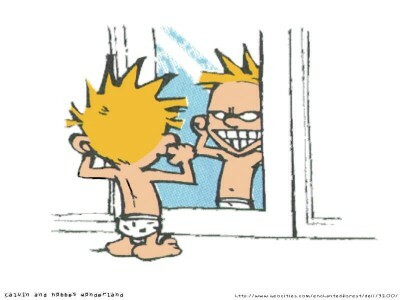 Fans of Bill Waterson's Calvin and Hobbes know how important it is to have a pair of lucky rocketship underpants! These are cotton briefs hand-painted with silk paint, fabric markers, and acrylic. 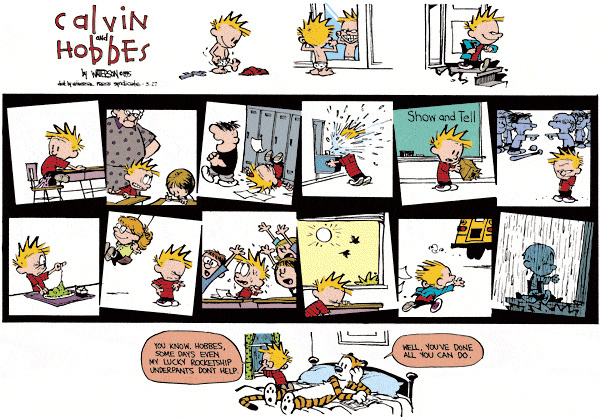 Below is the Calvin and Hobbes comic that inspired this gift.